With summer quickly drawing to a close and the return to school becoming more of a reality, it may seem that there’s not a whole lot left to do to enjoy the beautiful weather. Not so fast! 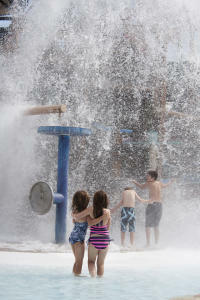 Here at the Dublin CVB, we want you to squeeze every last drop out of your summer with one last getaway. That’s why we’re offering you a number of opportunities to win FREE tickets to Zoombezi Bay to use before the end of this year’s water park season. From Pinterest to Facebook to email and beyond, you won’t want to miss these chances to win! Also, be sure to save the date: all contest entries and tasks must be completed by Thursday, July 31 at midnight. Pinterest—this contest is quick and easy, all you have to do is repin it to win it! 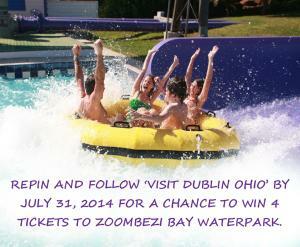 Just visit our Free Fun in Dublin Pinterest board, be sure that you are following the &apos;Visit Dublin Ohio&apos; account, repin the contest post to the right to one of your own boards and you will be entered to win four free tickets to Zoombezi Bay to share with friends or family. If selected, you will receive a comment from the Dublin CVB Pinterest account with instructions on how to claim your prize. Now get pinning! eTravel Club—are you a member of our eTravel Club? Then you’re already one step ahead of the game for this contest. All you have to do is keep an eye out for an email with instructions for how to refer a friend to join the eTravel Club and you will be entered to win four free tickets to Zoombezi Bay! You get a chance at one last summer getaway and your friend gets to be in the know about Dublin news and other offers. It’s a win-win! Facebook—this is a contest you won’t want to miss! 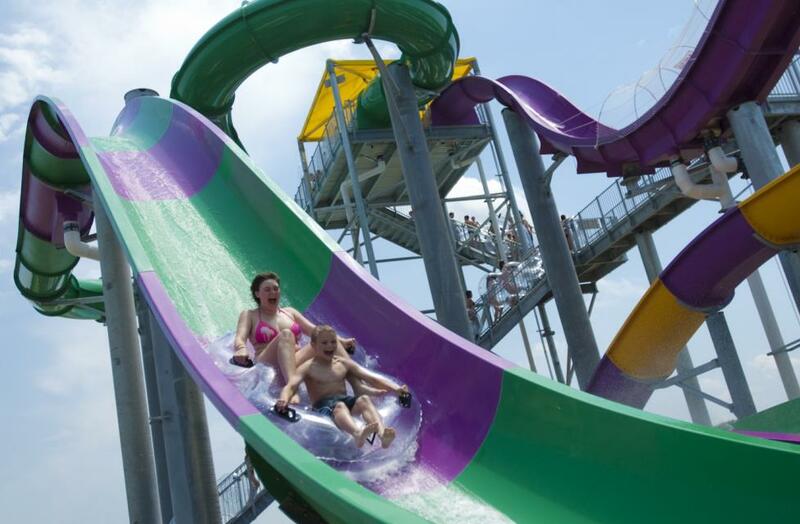 To have the best chance at winning, be sure to “like” the Dublin CVB Facebook account here and look for the photo that asks you to comment with your favorite way to cool off in the summer. Leave your comment and cross your fingers! HINT: liking our account doesn’t necessarily mean that this contest will show up on your feed, so be sure to check on our page! The winner will be mentioned in a comment once all submissions have been entered, so keep a lookout for those notifications. Twitter—a simple retweet is all it takes. First, double check that you are following our Twitter account here. Next, check that feed and visit our page in the next week to look for the special post that may be the key to free tickets to Zoombezi Bay. Finally, hit the retweet button and you will be automatically entered in the contest! Winners will be mentioned once the submission deadline closes. Partake in one, two, three or all of the contests to maximize your chance of winning. We look forward to granting a few lucky foursomes to one final summer treat before it’s time to return to reality (and those harsh Ohio winters). May the luck of the Irish be with you!